Syfy’s story of interplanetary bounty hunters Dutch, Jon Jaqobis, and D’avin Jaqobis is getting two more seasons to wrap up its story and gracefully exit the stage. Unfortunately, another Syfy show didn’t get so lucky. 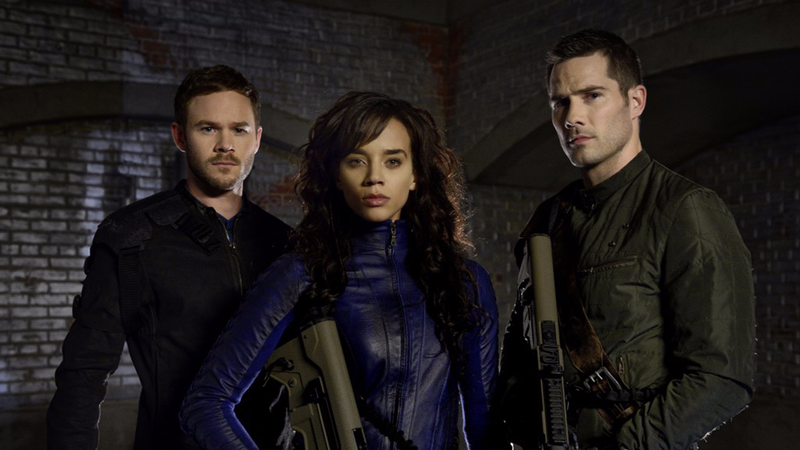 The news comes yesterday evening via Entertainment Weekly, who reported the renewal just before the third season finale of Killjoys aired last night. The final episode order is for 20 episodes over the course of two seasons, with the fourth season slated to air sometime next year. The series, which typically follows the adventures of three bounty hunters serving the Reclamation Apprehension Coalition, has deviated in season three, pitting the protagonists against the superpowered, parasitic Hullen. “This renewal is the kind of privilege every creator hopes for—a chance to plan the end of your story with the luxury of 20 episodes to do it,” creator Michelle Lovretta, who also created Lost Girl, said in a statement. Can’t blame him there. It’s a turbulent day for fans of televised space opera. Long live Killjoys, and may Dark Matter not be forgotten.